It is the myocardium disease (myocardium are the muscles of heart) in which the myocardium gets thicker, rigid, enlarged and hard and could not function properly leading to heart failure, dyspnea, and fluid retention. In this condition, the heart is not able to pump the blood properly and also could not fill the heart with blood. This disease is not a result of reduced blood pressure as in ischemic cardiomyopathy. This condition can be prove fatal for the patient in form of heart failure. It is a progressive disease. This condition of heart is also called spongiform cardiomyopathy. Any kind of viral infection which occurs as a result of invasion of viruses in body. This condition can occur as a result of various medications. Some medications have a side effect or negative reactions of non-ischemic cardiomyopathy. And some medications cause this by taking toxic dose of medication. Like cancer medications, chemotherapy, radiation therapy and other cancer treatment which along with effected cells also kill the normal cells. It can also be genetical i.e. transferred from parents. And many other autoimmune diseases are reported as cause behind non-ischemic cardiomyopathy. Patient feel difficulty in breathing and shortness of breath. Edema may occur and as a result swelling occurs normally in the lower area of body specially feet, ankles and knee. Patient gain excessive weight and become obese. Patient feel dizziness and also feel pain in chest. Chest becomes tight and pain in neck and jaw portion. Sometimes the patient gets faint and the blood pressure shoots. 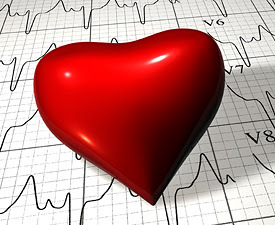 Heart beat become fast and the patient feel tachycardia i.e. increased heart rate. The mortality rate and morbidity rate is increasing day by day due to two main causes reported which are arrhythmia and cardiac failure. The main cause reported behind cardiac failure is the ischemic or non-ischemic cardiomyopathy. The mortality rate reported is 3 to 5 % in adults and 6 % in children per year. The high blood pressure and tachycardia and edema are the prognostic factors regarding non-ischemic cardiomyopathy. Along with this the pulmonary hypertension and dysfunction of left ventricular are also the prognostic factors reported. These factors always vary with the severity and genetics of disease. The survival rate or life expectancy of patient can be judged on the basis of how early it is diagnosed. A recent study showed that about 50 % of patients having non-ischemic cardiomyopath die within 2 years of diagnosis. The diagnosis if put forward the disease at early stage, then the life expectancy is increased because of treatment started at early stage of disease. Study also shows that there is 12 % chance of death of every patient with non-ischemic cardiomyopathy within a year after diagnosing because it is the most critical time period regarding treatment. Treatment mainly depends upon etiological factors due to which it is happened. Nonischemic cardiomyopathy most commonly occur due to weakening of heart muscle and their contractile efficiency. Treatment mainly depends upon agents that increase cardiac output like beta adrenergic receptor agonists, vasoconstrictor etc. In long run surgery is main stay for permanent relief.